Dynabeads Tyre Balancers. 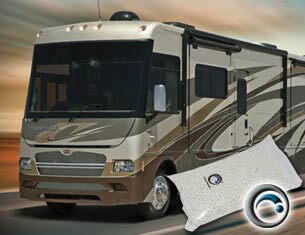 The dynamic way to balance your motorhome tyres. NB: We dont recommend you to install Dyna Beads through the valve stem for Motorhomes due to the large quantity of beads - See alternate methods here. However, should you wish to install via the valve stem you will need an Applicator*. NB: We recommend that you use the Large Fleet Dyna Beads for your motorhome applications. However, should you wish to install via the valve stem you will need the standard size dynabead and an Applicator*.